Last edited by Firefox1234 on Sat Dec 08, 2012 2:36 am, edited 1 time in total. Why do I know this name? quaazi wrote: Why do I know this name? I feel I have heard this name somewhere before. 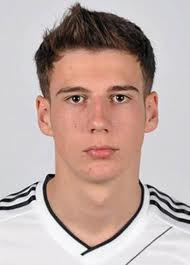 We were already discussing him some time ago in the FC Bayern II transfer thread, that's why. A midfield of him and Can 5 years from now is a mouth watering prospect. Me wantz him on meine team. MUTU wrote: We were already discussing him some time ago in the FC Bayern II transfer thread, that's why. He's made quite a name for himself since then, though.